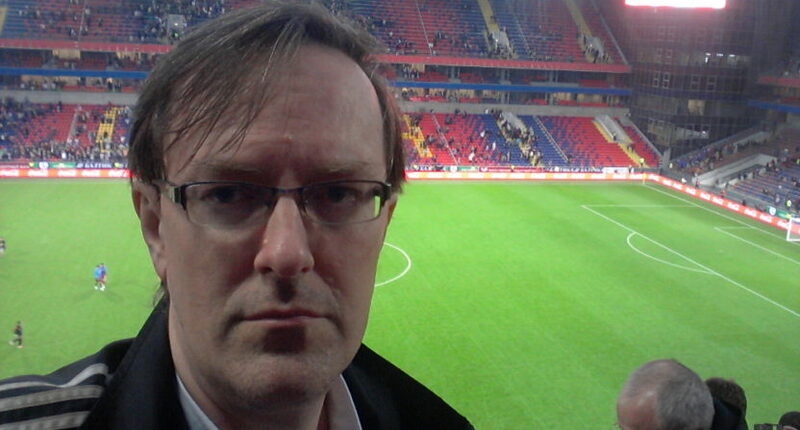 Vladimir Nikolsky left the booth with 25 minutes left in a Russian first division match to protest a referee's calls. We’ve seen plenty of broadcasters going after officials, and we’ve even seen some broadcasters leave the booth during a game, but the combination of both is pretty unique. That’s what Vladimir Nikolsky did this weekend, though, protesting a referee’s calls during the Russian first division match of Torpedo Vladimir and Tekstilshchik Ivanovo and eventually storming out and leaving dead air for the second half. Here’s a clip: Nikolsky’s criticisms start around 0:30, and he leaves around the 2:00 mark. As you can see in the clip, which begins in the 65th minute of the second half with the score level at 1, Nikolsky first gets incensed when Ivanovo goalkeeper Alexei Smirnov knocks down an opponent and the referee awards a free kick outside the box to Vladimir rather than a penalty (0:30). The match itself ended in a 1-1 draw. Speaking to Russian broadcaster RT after the game, Mr Nikolsky said he didn’t regret his actions. “I become emotional when I see that our team is being hurt,” he said. He added that he was proud of the fact that during his two-minute rant, he managed not to swear, and the club hasn’t asked him to apologise. He works for Torpedo as part of local league rules, which say that teams must provide the broadcast services of their matches. This means that TV companies don’t have to travel thousands of miles across Russian territory, and has been an arrangement which has led to passionate reporting. Some homerism is to be expected under that setup, but Nikolsky still goes rather further than you’d expect from most North American broadcasters. But he certainly got his point across by leaving the booth and letting the last 25 minutes air without commentary. And it seems his boss is a fan of his approach.